This is a guest post by Lindsay Curtis for Powered by Intuition. The other night I was laying in bed for hours, teetering on the edge of sleep — barely conscious but not yet asleep. You know the feeling. During those moments, our brains are usually filled with either to-do lists for the following day or reflections on the day we just had. But the other night wasn’t one of those typical nights for me. It was in those hazy [re-sleep moments that a whole whack of inspired thoughts rushed into my head — answers to questions that have been floating around in my mind, unanswered for months. Resolutions to burdens that have been weighing on my chest. Inspiration for future articles (and other exciting things!) for this website. These seemed to fly into my consciousness, one by one. A lone thought would float in my head, meandering for a while until I took the time to write it down. Once I wrote one down, another one would rush in. You should see my bedside journal – filled with chicken scratched notes. I am surprised I can even read them. Thankfully, I can. And thankfully, I knew enough to know that these thoughts were more than just presleep brain work – they were the Divine Guidance and answers I’d been asking for from my spirit guides for quite some time (plus some!). We can receive Divine Guidance from our spirit guides, angels and higher selves at any time of day, no doubt about that. But in my experience, we often receive it when we are most vulnerable & most relaxed, leaving us more open to receiving these messages. When are we most open to receiving Divine Guidance? In the groggy moments in the morning when we’re half-asleep/half awake. During the floaty-type moments we experience before we fall asleep at night. After a good crying jag. Okay, I’m a girl who loves a good cry. I find it therapeutic. I also find I am most ‘inspired’ and in tune with my higher self & spirit guides once I have given my nose that final blow (sorry for the mental image!) and feel that wave of peace wash over me. During or after meditation. Studies have shown that Theta waves are more abundant in our brains during meditation. These waves are characteristic of wakeful rest, which leaves us more open to receiving intuitive hits and messages from our guides & higher selves. 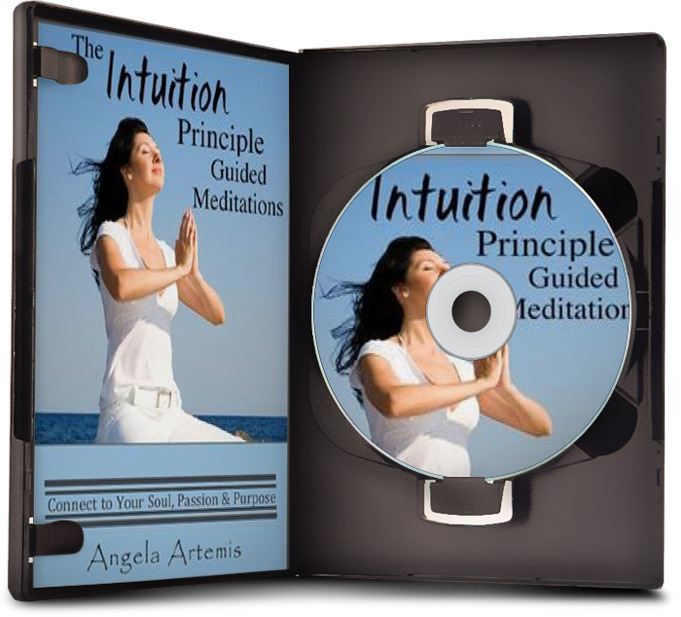 You don’t need to be a professional intuitive or psychic or a champion meditation guru to receive Diving Guidance. You just have to be a person who sleeps, cries or meditates. You do at least one of those, right? (Unless you’re Martha Stewart, maybe). Now, I don’t recommend going and finding a reason to cry just to get the messages you’ve been waiting for. But don’t be surprised if, after the next time you’ve cleansed yourself with tears, you find some clarity to a situation that has left you feeling lost or confused for a while. It’s a good idea to keep a journal or notebook next to your bedside for the thoughts that pop into your head like they did for me the other night. If you’re lazy like me, you won’t want to get up to groggily find a pen or paper to write everything down, no matter how good the thought seems at the time! What are the times you find yourself most open to receiving signs from your guides or Divine Guidance? Share them with us! P.S. 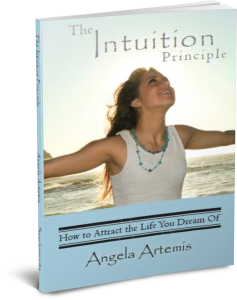 If you’re new here sign-up for your free copy of my ebook, The Intuition Primer. Lindsay Curtis is a spiritual intuitive and Reiki practitioner who blogs at The Daily Awe . 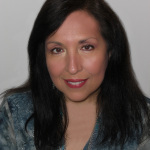 She provides readings for those looking for insights on soul contracts, spirit guides and their soul purpose. 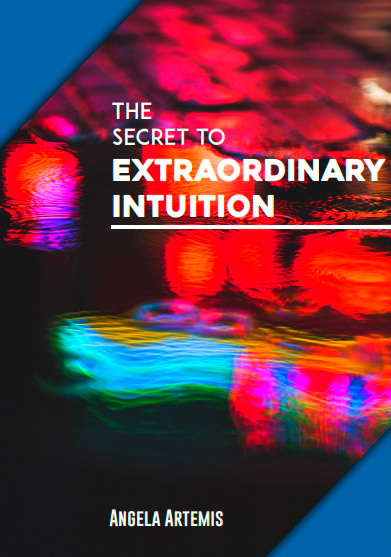 Just got your eBook “Intuition Primer” and it is so perfect! I love both the message and the writing and presentation. Thank you so much for this great gift. I’m glad you got the ebook and are getting so much value from it. What a timely article for me. I have been struggling with all the “thoughts” in my head when I go to bed, and as you said often I seem to get “answers” then too. Now I have a way to remember them the next day, so I can take action instead of just pondering further! Thanks as always for the great help! I’m glad you found this guest article helpful. It’s great to see you by the way! I receive guidance when I ask and then actively listen. I listen best in quiet..sometimes in nature, sometimes in a comfortable spot on my boat, but anytime/anywhere that I am open a clear sign is there..This evening I was watching a movie and the character looked right into the camera and basically said clear as day the very affirmation I had been looking for..I laughed out loud in pure delight! Joy, that is so funny! Gotta love that. I wish it was that easy/obvious & direct all of the time! You have nailed it on this one Angela. I certainly agree. The main times for me is the same…like the early hours of the morning or in between sleep states. But sometimes during the day, when a message is trying to come in, my eyes start to get heavy and I know as soon as I lay down…I will receive a message. And once I receive it, I am fully awake. I’m glad you enjoyed Lindsay’s guest post. I thought it was terrific too! I receive messages usually before fully waking up and meditation. I guess being really really relaxed helps. At other times, I’ve heard inner voices or get an intuitive knowing (however this can be difficult to really discern). If I hold the question in my mind and not be attached to outcomes or results, answers can come too. Well, crying doesn’t seem to work for me. I have never heard or seen anything about a bout of tears. I doubt that receiving through this channel will be possible for me because it usually means that I have been feeling disconnected. I like what you said, “A lone thought would float in my head, meandering for a while until I took the time to write it down.” I need to pay attention more to these kind of thoughts too. Lindsay wrote a wonderful article for PbI. I’m glad you enjoyed it. I too though, am not much of a crier so this is the only aspect I have no experience with. I do think it might bring some wonderful insights to those people who are lucky enough to be able to get things out in a good cry! Thank you, Evelyn! I think you’re right: we receive these messages, this guidance, when we’re most relaxed. I’m glad you enjoyed the article! I often have my best moments during those groggy times right before falling asleep. Well said (or should I say written), Angela! I often find myself receiving guidance laaate at night, when I’ve had so much work to do that I haven’t gotten to sleep yet. I almost dread those moments, since I know I have to sleep but it’s so inspiring to continue on and act on what I receive. For example, I was going to bed yesterday and complete sentences of my ebook started to form in my head. That just annoyed me, and I didn’t write it down. Now they are lost in the sea of the subconscious, and who knows when they’ll be reeled in again? Thanks for the compliment, Sol! I tend to think that when something is really meant for us – if we miss it the first time, our guides will say or show it to us in another way. So don’t stress too much about or worry about getting those sentences back! Oh my, I’m so embarrassed right now! I didn’t read it was a guest post by you, Lindsay! Waaah! I’m so sorry! It was a very well written post, however. Good job! No need to be embarrassed! Lots of people have thought Angela wrote it, which makes absolute sense since this is her site! 🙂 Thank you! We’re all friends here – no need for apologies! I’m so glad you enjoyed Lindsay’s post! It’s been a pleasure having here here at PbI. Hi Lindsay, I must say that my experiences are similar to yours. Often, just before sleep, the answer or inspiration comes to me. It is, as you say, as if a divine guiding force whispers in my ear. Another time that may happen is when I go out walking. Often, I resolve problems and get inspiration along the way so I tend to carry my little notebook with me everywhere. Only problem is that I have a bunch of little notebooks, some dating back years, full of ideas to follow up on. Penelope that gave me a huge smile on my face! I’m the same way! I have so many different little notebooks floating around and while I love them, I just can only imagine how many I’m going to have 5, 10 or 20 years from now (because I also can’t bear to throw them away!). When I am super relaxed I can actually hear words being spoken to me, not a complete dialogue but words and phrases. One time the message was telling me to remember to breathe when I am stressed. I hold my breath or shallowly breathe when I am under stress. I do that too, Justin! And I didn’t even realize I do that until someone said to me, “Lindsay…breathe!” (A friend, not a spirit guide or angel). I love that you can hear the words when you’re relaxed. Do you do any type of automatic writing at that time? I also find that inutitive hits and connection tend to happen in waves, usually right after waking and sometimes all day long when we have odd weather like wildly windy days, for some reason. Mind you, I used to also go to the gym daily and use the time on the elliptical to clear my head and meditate, but my responses never came in at that time. Now that I have a 3 yo at home with me, I don’t get that time anymore which has thrown me off. Lindsay, do you have any good guided meditations you can recommend? Great guest post! I will email you tomorrow (have a full day today!) with some guided meditations I recommend. I can’t wait to be a mom some day, but I know that the kid(s) will throw off my routine. Finding time for yourself presents a new challenge as a mom! You really are pure heart and a light giver. It’s refreshing to read your words because they vibrate from your higher self. Thank you. I really enjoyed your “Primer” too. Sometimes the greatest gift we can give is the inspiration that let’s us see anything is possible! I am sometimes most open when meditating/praying, as you say. Two other places–One is by the creek in front of my cabin. Sometimes I sit by the creek and it’s like the creek it speaking to me, sometimes in a word, or a sense, or a sudden awareness. The second place is driving. My mind wanders a lot when I’m driving. I usually drive in silence, with no music or radio, so my mind is free (other than paying attention to the road, or course!). Thanks for calling these opportunities to our attention. It’s easy to overlook them when we are preoccupied with our usual mental chatter. Just thinking about sitting by a creek is making me feel peaceful. Being out in nature absolutely helps connect us to divine guidance. As for driving with no music, that’s a fantastic suggestion and something that I almost never do! I remember having such moments where the thoughts and ideas just flow through my head. Unfortunately, this experience can happen when I am in the gym so I had to go back and forth to the counter for paper between sets just to get all my ideas out before I lost them forever. Talk about receiving divine guidance at any time of the day. It seems I usually get my ideas when I am in the shower, traveling or in the gym. They seem to be times when I can just switch off my mind due to the routine and focus on other things. I always make sure to have access to paper or my hand phone during these moments. The mental image of you running back and forth to the counter for paper at the gym has me smiling! Gotta love it. It makes sense to me that working out would be a good time for receiving guidance. Moving your body, sweating out the toxins, de-stressing…seems like the perfect time for guidance receiving! I’m so glad you enjoyed Lindsay’s wonderful article! Hey Carolee! Gotta love a good cry, eh? lol- I’m a crier, too! I think meditation really opens our minds to receiving..it has helped me tremendously. Well done, Lindsay! I love the point you make that ANYONE can receive the guidance they want and need. It does take a bit of tweaking to find out the best way to work with your Guides but it’s more like a fun adventure than actual effort. I hope that more people come to understand the power they hold on their own and learn the ways in which they are supported by Creator, God, All That Is …. the Universe, I call it. I called it the Universe, too. But whatever anyone wants to call it, I believe it’s all under the same umbrella. What works for me won’t work for the next guy or gal necessarily, but it just might! Tweaking and learning/trial & error helps!